These legal matters include claims regarding interference with business relationships, breach of fiduciary duties, business libel, slander and defamation (including Internet defamation), and other disputes concerning non-compete, non-solicitation and non-piracy agreements. We also process many claims involving shareholder disputes or business divorces. We have been successful in obtaining maximum compensation for damages to many of our Arizona business clients, both individual and corporate. The Law Offices of William D. Black has a track record of success in finding innovative solutions and getting the best results possible for our clients. Phoenix attorney William D. Black is a lawyer who focuses on client needs and has a proven record of success. A non-compete agreement is a contract or clause agreed upon between two parties, usually an employee and an employer, in which the employee agrees not to enter into competition with the employer during or after employment. These legal contracts prevent employees from entering into markets or professions considered to be in direct competition with the employer. Protects an employer’s legitimate business interest: Some legitimate interests employers may protect with these agreements include trade secrets and intellectual property. Is reasonable in scope and duration: The reasonableness of the length of time a non-compete clause is in effect and the geographical area the clause covers varies with different industries, and the employer needs to produce business based evidence that the scope and duration of a non-compete clause are necessary. Does not violate public policy: Examples of non-compete clauses that violate public policy would be clauses that completely prevent an employee from working at all or deprive the public from a critical service. Non-compete clauses are appearing in industries where they were not commonly seen before. Non-compete agreements are contracts that prevent employees from engaging in business activities that would directly compete with employers for certain amount of time after the employees leave their jobs. Non-compete agreements have been common in the sales and technology fields for many years, and they are becoming increasingly popular in other industries. Arizona residents should be aware of the rise of these agreements and when a non-compete agreement is enforceable in Arizona. Employers are more frequently using non-compete clauses in employment contracts in areas where such clauses were not usually used. According to the New York Times, people employed as hairstylists, textbook editors, pesticide sprayers, entry-level social media marketers and summer camp counselors have all had to sign non-compete agreements. Employers are more likely to use litigation to enforce those agreements than in the past, as well. The Wall Street Journal reported that the number of published U.S. Court cases dealing with non-compete agreements increased by 61 percent from 2002 to 2013. Employers argue that these agreements are necessary to protect the employer’s trade secrets, intellectual property and the investment that the employer makes in training employees. However, others argue that these clauses stifle innovation and economic development by preventing people from starting their own businesses or switching jobs. Notably, many non-compete agreements include “step-down” provisions that progressively narrow geographic and time alternatives (“step-downs”) in non-compete agreements. An example of this type of contract language would be a non-compete agreement that prevents an employee from competing against its former employer for the longest of the following periods found by the court to be reasonable: 18, 15, 12, nine or six months following termination of the employment relationship. Employers often include “step-down” provisions in their non-compete agreements because Arizona has granted its courts the ability to selectively eliminate unreasonable provisions while letting the rest of the agreement stand. This power, known “blue pencil” doctrine, allows courts to select what they consider the maximum reasonable alternative and preserves the expectation of the parties entering the agreement. On October 17th, 2013, the Arizona Court of Appeals substantially heightened the burden employers must meet when seeking to enforce a non-compete agreement against a former employer. See Orca Communications Unlimited, LLC v. Ann J. Noder et al., 1 CA-CV 12-0183 (Oct. 17, 2013), limited by Orca Communs. Unlimited, LLC v. Noder, 337 P.3d 545, 550 (Ariz. 2014) (finding that the superior court erred in dismissing plaintiff Orca Communications’ claim of unfair competition because the Arizona Uniform Trade Secrets Act did not, as a matter of law, displace the company’s claim). In Orca, a public relations firm, Orca Communications, hired Ann Noder as its President. Noder had no professional public relations experience prior to joining Orca and was trained from square one by the firm. When Noder was hired she signed a non-compete agreement that prevented her from advertising, soliciting or providing conflicting services for any of Orca’s competitors. Additionally, the non-compete agreement included a confidentiality covenant prohibiting Noder from using or disclosing Orca’s confidential information without the company’s consent. The Agreement defined “Confidential Information” as knowledge or information not generally known to the public or the public relations industry that Noder learned from her employment with Orca and that related to its business partners, or the business of its customers or potential customers. The provision excluded “publicly known” information and information “readily accessible to the public in a written publication,” but included information that was only available through “substantial searching of published literature” or that had to be “pieced together” from a number of publications and sources. The confidentiality provision did not contain a geographic restriction, but rather bound Noder anywhere in the world, at any time or up to 12 months after her employment ended, whichever duration a court found reasonable (a classic example of a “step-down” provision explained above). When Noder subsequently resigned from Orca to form her own public relations firm, Orca sued Noder for violating the non-compete agreement. The trial court dismissed the lawsuit and Orca appealed. On review, the Arizona Court of Appeals affirmed the trial court’s order dismissing the non-compete agreement claims, finding that the provisions were overbroad and went beyond protecting Orca’s legitimately protectable business interests. Under the non-solicitation covenants, Noder was prevented from soliciting Orca’s customers as well as any other potential customers and prospects with whom Orca hadno business ties, and former customers. The court reasoned that Orca’s non-solicitation went too far insofar as Orca had no protectable interest in latter set of customers. Turning to the confidentiality provision, the court observed that “[i]nformation easily or readily available to the public remains public knowledge and not protectable even if a member of the public may have to expend substantial time to gather it and comprehend its significance.” In this vein, the court found that the agreement’s definition of “confidential information” was a de facto limitless covenant not to compete that unreasonably restrained Noder’s commercial interests. Orca Communications stands for the proposition that Arizona employers must carefully draft non-compete agreements so that they are narrowly tailored to the legitimate interests sought to be protected. The decision reaffirms existing Arizona case law prohibiting unreasonable duration and geographic scope provisions. The decision goes a step further, however, by subjecting confidentiality provisions (often drafted to apply for an indefinite period) to the same duration and geographic scope limitations traditionally applied to non-compete clauses. To learn more about the enforceability of non-compete agreements, click here for a blog post. 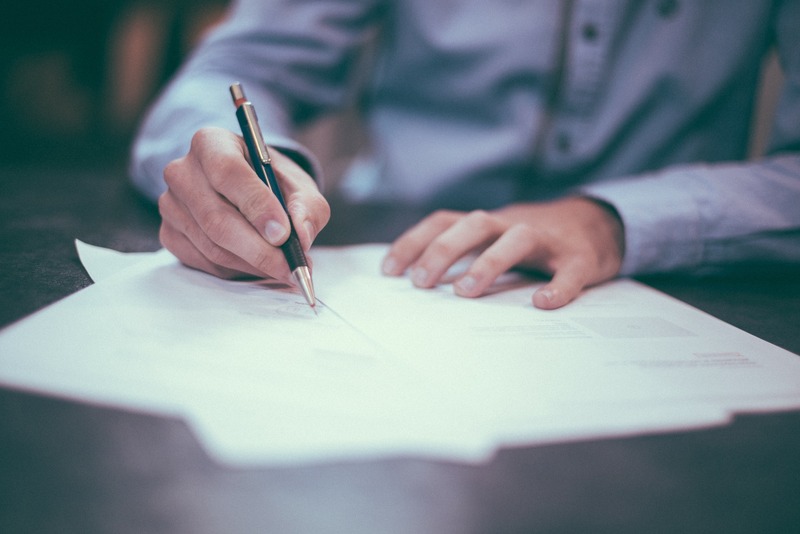 Since non-compete agreements are becoming more common, it is important for both employers and employees to understand how these agreements work. If you have questions about non-compete clauses, contact an experienced Arizona non-compete agreement lawyer who can advise you how to proceed based on your specific circumstances. While we have resources of a much larger firm, we pride ourselves in the boutique, personalized service we provide for our clients. In more complicated cases, with the client’s approval, we team up with other highly qualified attorneys who serve in a co-counsel or ‘of counsel’ relationship. We also work with forensic experts such as CPAs, financial analysts and other forensic experts to assure optimal results for the client. We take the time to get to know our clients and their legal issues so that we can efficiently serve their needs. We strive to make ourselves accessible to clients whenever reasonably possible throughout the course of representation so that all client questions and concerns can be promptly addressed. The Law Offices of William D. Black has won millions of dollars for our business clients in more than three decades as a respected Arizona law firm. For business breach of contract, tort, non-compete, non-solicitation, and anti-piracy dispute resolution, contact the Law Offices of William D. Black to get optimal results. The firm has conveniently located offices in both Phoenix and Scottsdale. Contact us at 602-265-2600 or contact us online. Take advantage of our confidential, complimentary initial consultation.